I recently decided to give the Dark Carnival Geek Box (http://www.darkcarnival.co.za/) a try. It is a South African offering based on international offerings such as Loot Crate, 1Up box, etc. whereby you pay a monthly subscription fee (usually between $20 to $40(USD)) and in return receive a package every month that contains a few surprises. 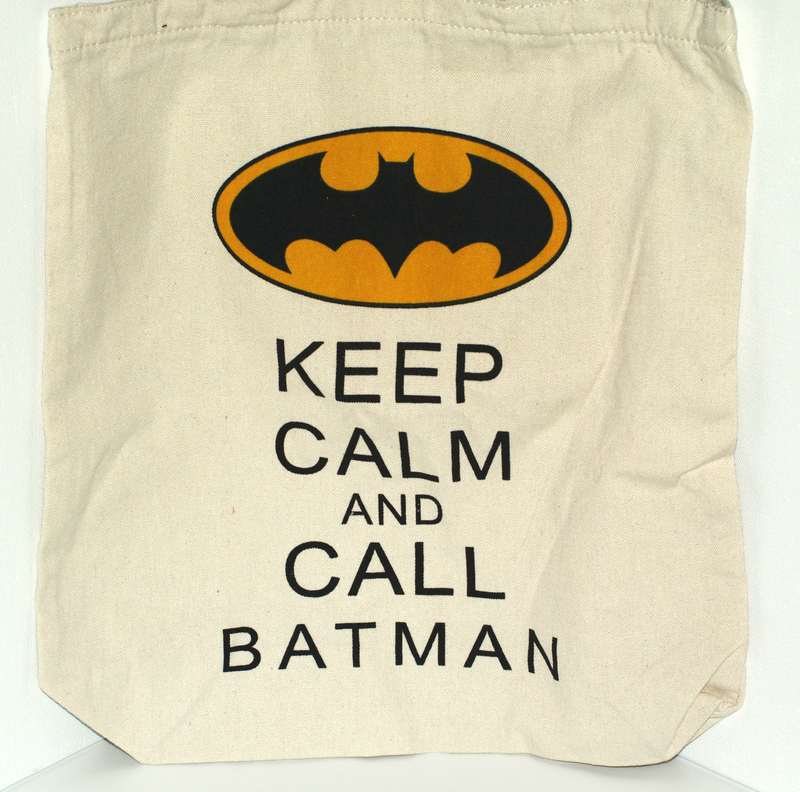 It usually contains 4 to 10 items consisting of anything from T-shirts to toys, all with a geeky theme. 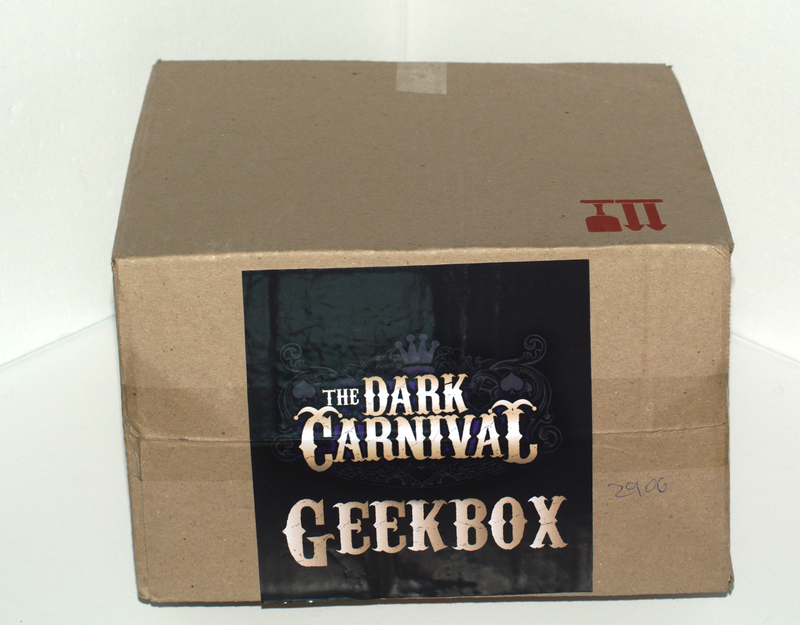 The Dark Carnival Geek Box is priced at R505 (ZAR), which included packing and delivery fees. At time of writing the price equates to about $41 (USD), so as these surprise box services go the cost is at the high-end of the spectrum. But as the other before mentioned services do not deliver to South Africa, there is very little competition in the market for a service like this. The box is a normal cardboard shipping box with a sticker on top, as opposed to the specially designed boxes used with the international services. Let us have a look of what we get inside. 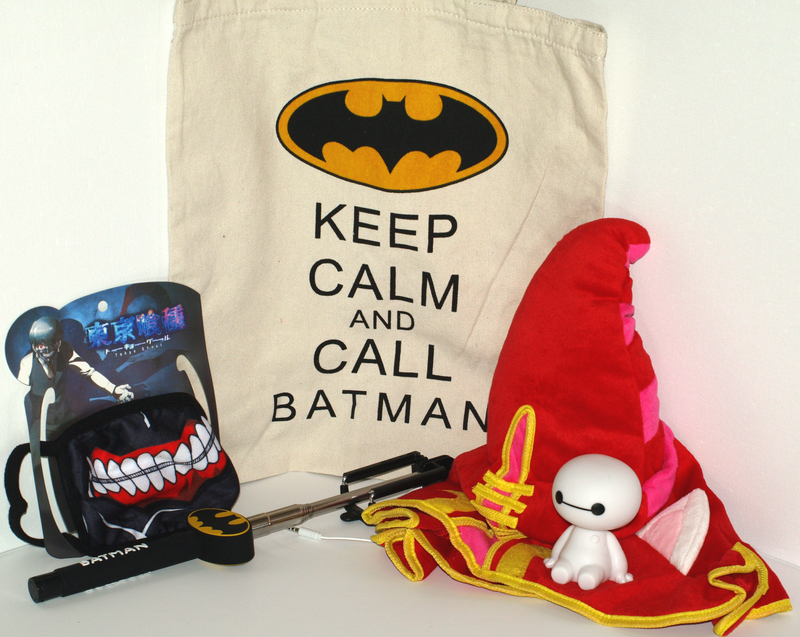 A plushy hat, a canvas bag, a small mask, a batman selfie stick, a Big Hero 6 bobble head and 2 tickets to GeekFest 2015. The quality of the plushy hat and mask were pretty poor. 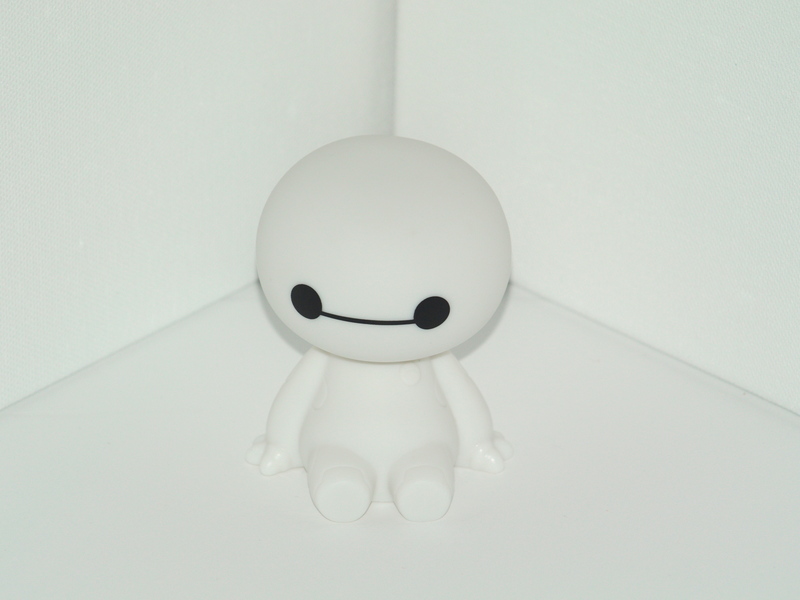 However the bobble head, selfie stick and canvas bag were all good quality (note however that as far as I can see none of the items are officially licensed goods). The tickets for GeekFest (which cost R80 (ZAR) each, approximately $6.50 (USD), which is an event hosted by Dark Carnival, were a nice touch. My favourite item was the bobble head, and least favourite was the mask. That said the value offering is far from what the international offerings provide, where in some cases you can get up to double the value as compared to the price. With the Dark Carnival Geek Box you might barely get your money back in terms of value, maybe I would have felt differently if I had been able to go to GeekFest. I might try the service again in a few months to see if the offering has improved, but for now would I recommend the Dark Carnival Geek Box? No, I can’t say I would.